The Foundation Architects: Let the Light In! 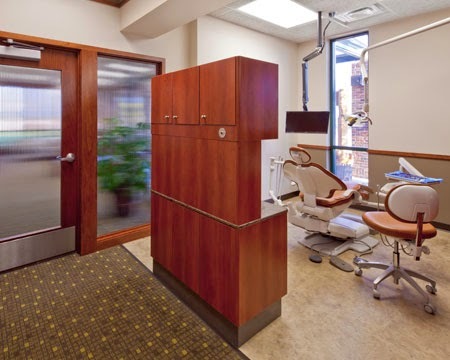 Incorporating natural light into a design tops the list for many clients—including dentists. The Foundation Architects uses a number of materials that subtly allow light and movement to pass through spaces. An architect may not be able to control the view outside of a clinic, but smart design can change the context. Frosted windows in patient rooms at Excelsior Town Dental were the perfect solution to let light in and keep the view of the parking lot out. 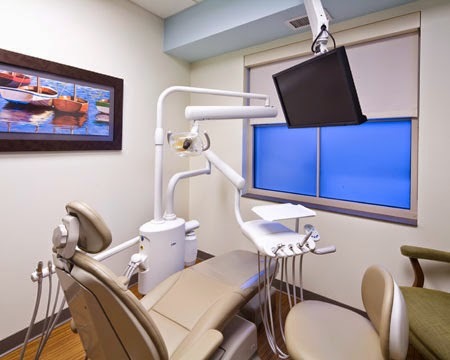 At Smile Designers, screened windows create connections from the clinical area to the reception area, allowing patients to better understand their surroundings and feel less disoriented at the end of their dental appointment. 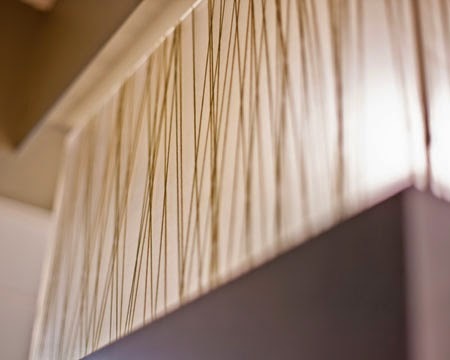 The frosted glass between the wall and ceiling at the Paul E. Berg, DDS Dental Clinic contains an unexpected surprise—dried wheat grass. 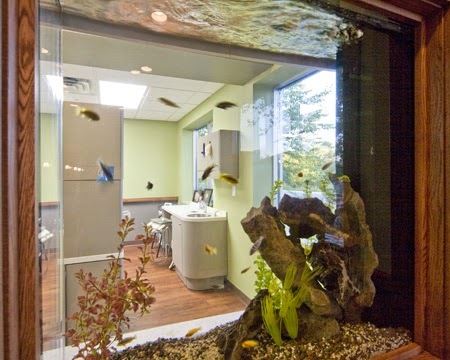 Aquariums are a nice touch in dental clinics as they serve a dual purpose—adding light and movement to a clinic and serving as a relaxing distraction for patients. At Chanhassen Family Dental a see-through custom aquarium connects the waiting room with the operatories. View other inspired works by The Foundation.